The results were very different and I haven't really been able to finalize anything for a full card yet ! Anyway, I made this gift tag out of one of failed background pieces. I couldn't throw it away and I think it looks okay on this tag, eventhough it does not really have the watercolor effect, I was looking for. 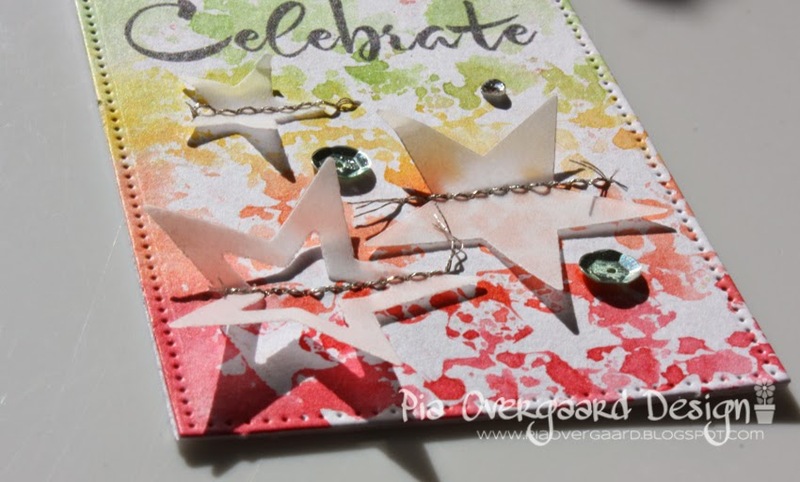 The white stars impressions in the background is made with a Tim Holtz stencil. I stitched on some vellum stars with silver thread and emsembled the tag with an extra die cut on the back, to hide the stitching. It makes is nice and sturdy, too! 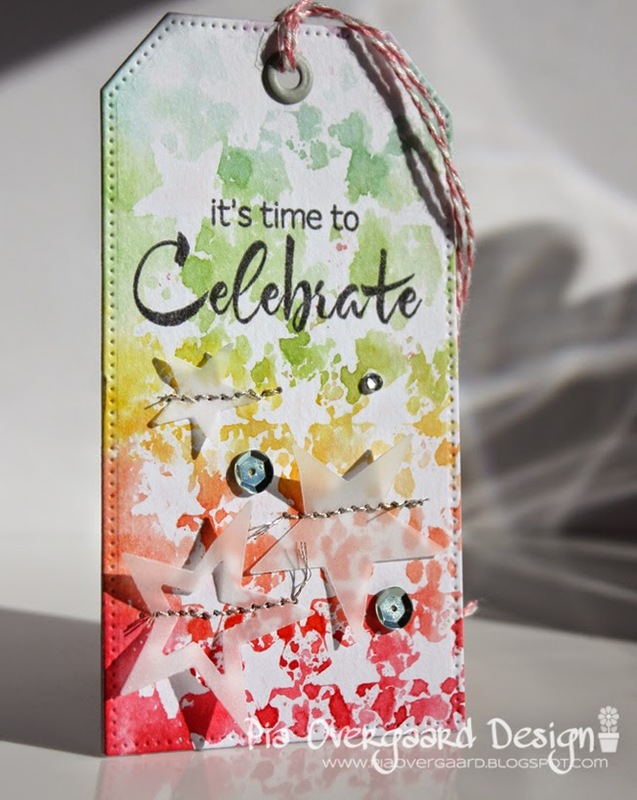 Hero Arts Find Joy Stamp Set, MFT stitched tag die, MFT stars die, Tim Holtz Water color paper, Tim Holtz Stencil, Distress inks (shabby shutters, evergreen bough, mustard seed, ripe persimmon, festive berries), Sequins & gems. What about you do ? Do you try to salvage failed pieces as well? Flot tag i skønne farver. Jeg synes, det er sjovt hvis et fejlslagent projekt kan anvendes alligevel som her i et tag eller måske til udstansning af mindre blomster, sommerfugle eller andet. I like it very much even you're thinking of it as a fail. You only need a bit more water for this technique to show up more. Can't wait to see more of your experiments.